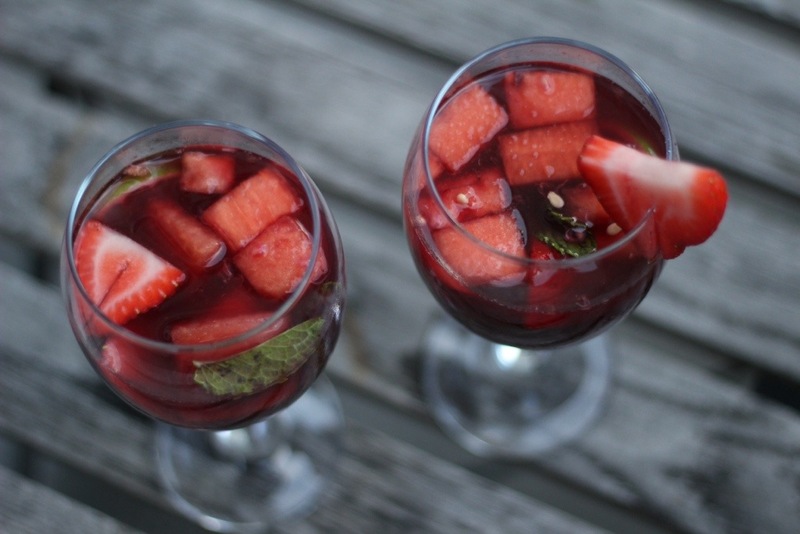 When life gives you leftover watermelon and Pinot Noir…you turn it into Sangria! This is totally my version using whatever I could find in my fridge. But I think it turned out damn well.